CMS recently joined the members of the Tennessee Trucking Association in their Traffic Incidence Management (TIM) training here in Chattanooga. In addition to getting a chance to see some of our clients, it also provided us with a wealth of information on new goals that have changed how Tennessee deals with traffic control. It also gave us some inspiration on ways we can improve our customer service to you! Traffic congestion costs the trucking industry $63.4 Billion annually. The lost time is the equivalent of over 350,000 drivers sitting idle for the entire year. Up to 25 % of this lost time and productivity is due to congestion caused by roadway accidents. Not only lost revenue, but secondary accidents caused by the traffic buildup are often far more serious than the original accident, resulting in additional injuries and fatalities. In the trucking business, you already know the real world impact of this all too well. There is a national training program, called TIMs training, that aims to reduce the time spent clearing accidents. Tennessee is spearheading this training by encouraging law enforcement, fire, ambulance, and the towing industry to work together and put the priority at moving traffic as soon as possible. For the first time ever, there is a goal of 90 minutes to restore the highway to capacity. 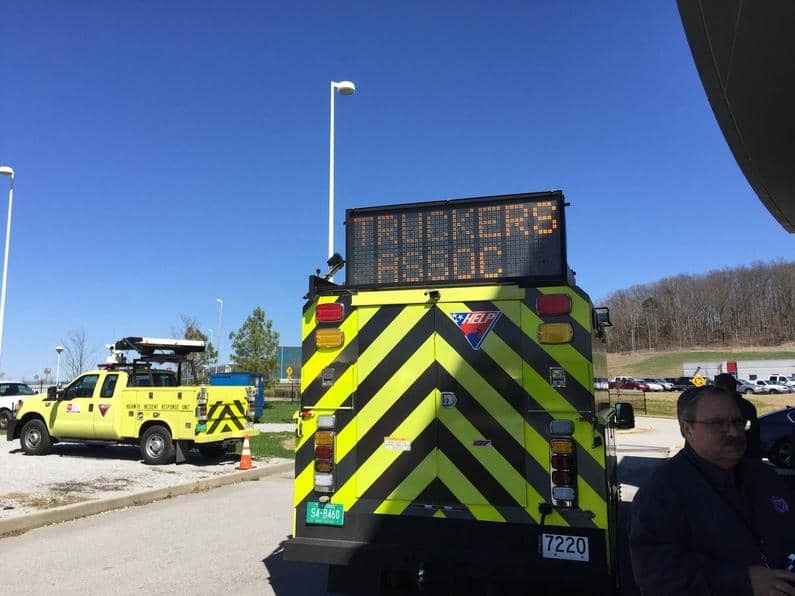 Their next phase of coordination is to reach out to industry partners and the Tennessee Trucking Association was one of the first to take part in the training. The hope is that by knowing the goal and priority of law enforcement and first responders, carriers will be able to do their part in meeting the same goal by having a clear accident response plan and working with local towing companies to restore traffic ASAP. You may be asking why in the world would an MRO like Corporate Medical Services want to take part in this? Aside from being pretty cool stuff, this program aligns with the goals of CMS and provided us with inspiration on how we could improve our customer service. We understand the value of time in all circumstances and one of our primary goals is to reduce delays in getting you the information you need. Our MRO department accurately reports results as fast as anyone in the industry, and while we know that Post-Accident testing is one of the thousand tasks you need to perform when your truck rolls over at 3 AM, our 24/7 scheduling crew are trained in DOT regs and are always ready to help. Just like the governmental agencies that perform better when they work together, we know that by assisting you to get the job done, we all succeed.